As far as bacchanalian good times go, things don’t get much more indulgent than carnival. While these days it’s associated with parades, gilded masks and drunken revelry, it was originally a Christian festival season in the lead up to Lent. Citizens would come together and eat the food they had left over after winter that they weren’t allowed to consume thanks to the restrictions of Lent. Since then, the party has evolved and spread around the world, with each carnival reflecting the particular culture of its location. Attendees often wear masks to disguise their identities as they yield to numerous vices. It’s time to make like Romeo and Juliet, tie on a mask and be prepared for one heck of a ride! 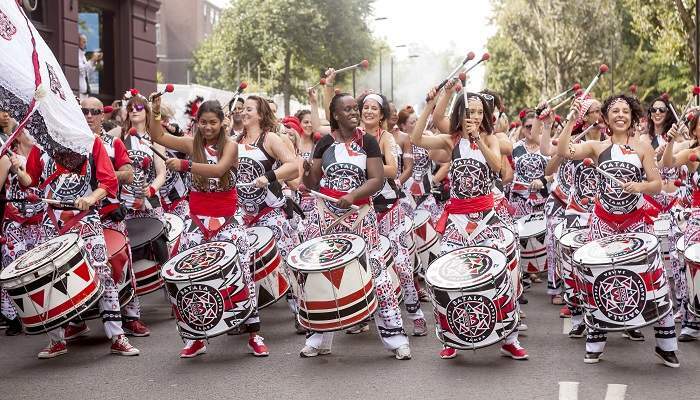 One of the few carnivals that isn’t associated with Lent, Notting Hill Carnival is a sparkling celebration of London’s Caribbean culture, and attracts around one million people a year. Expect fabulous costumes, a lengthy parade, steel drums and 38 sound systems blaring reggae, salsa and more. There’s also no shortage of jerk chicken at this carnival, which is held every year over the August Bank Holiday weekend and was first celebrated in 1966 by the area’s British West Indian community. 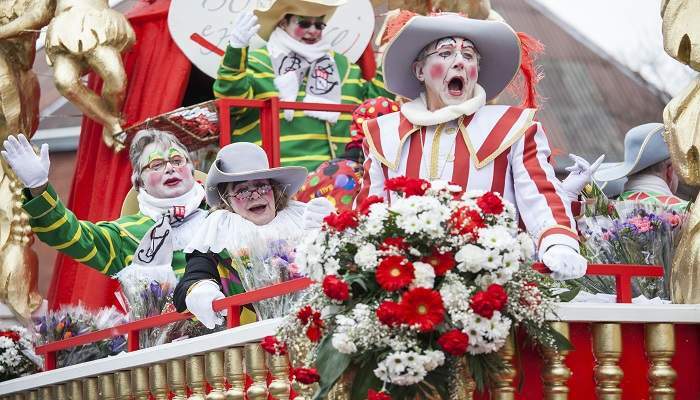 Germany loves a party, and Cologne Carnival runs a close second to Oktoberfest when it comes to epic German parties. Though it begins at 11:11am on the 11th of November, festivities don’t really get started until early February, in the lead up to Lent. The carnival is headed by a prince, a peasant and a ‘virgin’ – locals who pay for the honour. The party kicks off with Women’s Carnival Day with music, dancing and parades. The following days involve masked balls and parties – with most shindigs taking place on Carnival Saturday. The final day sees a life-sized straw doll set alight, to symbolically erase the sins of partygoers before Ash Wednesday. Don’t forget to dress up – you’ll stand out like a sore thumb if you don’t add at least a little bit of wackiness to your attire! Hailed as the second-largest carnival in the world (after Rio’s), Tenerife really brings the goods for 15 days every February. The festival begins with the selection of a festival ‘queen’, dressed to the nines in costumes that weigh up to 100 kilograms and can be over five metres tall. This is followed by several days of parades, parties and indulgence of every kind. The Carnival Monday is a day of feasting and dance music, while on Ash Wednesday, ‘sardines’ made of paper are symbolically buried. Celebrations officially cease on ‘piñata weekend’, when many musical acts perform around the city centre. Each year is themed – start prepping your costume for 2018, when the theme will be Fantasy. 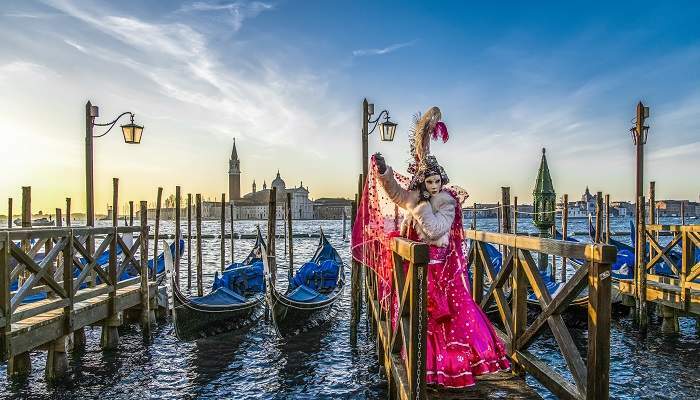 Don a mask and cloak, and get ready for a celebration of downright debauchery at Venice Carnival – one of the most recognisable carnivals in the world. Synonymous with Venetian icons like Casanova and ‘plague masks’, this carnival is the one to go all out at – it’s been running since the 11th century (albeit with a brief hiatus from 1797 until 1979… thanks, Napoleon), so it must be good! Though parties, galas and balls can cost a pretty penny, the streets and canals (not to mention St Mark’s Square) are where the real revelry is at – and, better yet, free! Masks were worn way back in the 13th century so attendees couldn’t differentiate between classes – use yours as an excuse to go all out! Nearby Verona‘s own carnival is no slouch in the party department, either. The biggest, most raucous carnival in the world, Rio Carnival brings the good times, doubles them, and then triples them for good measure! Rio knows how to host a blow-out at the best of times (see: the Olympics), and come carnival time it doesn’t hold back. 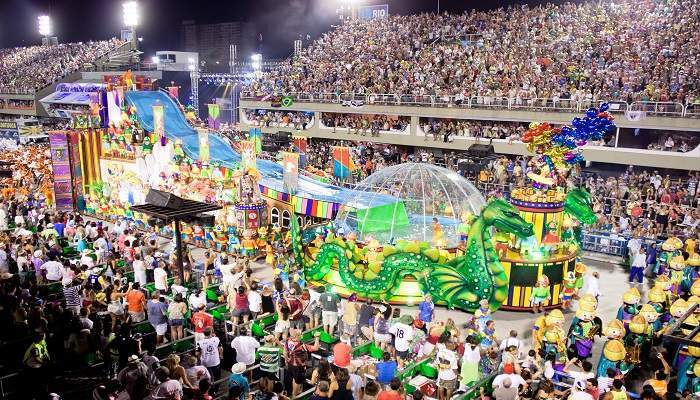 The festival’s centrepiece is the Samba Parade, which sees 12 samba schools, usually with around 2,500 performers each, doing their darndest to be crowned the best of the carnival. Incredible costumes, extravagant sets and perfect choreography are the name of the game here, and there’s a whole lot of glory associated with being the winner. If you don’t want to buy tickets to the parade in the Sambadrome, it’s easy to join in the festivities – just hit up one of the blocos (neighbourhood parties), where you’ll find just as much samba and spirit as within the samba stadium!